Traditional thinking leads us to believe that organization of large-scale facilities security requires engaging many security officers to physically patrol protected areas. Innovative solutions brought about by SMP Robotics will allow large entities to decrease the number of security personnel and to propel the tasks of security organization and maintenance to a brand new level. 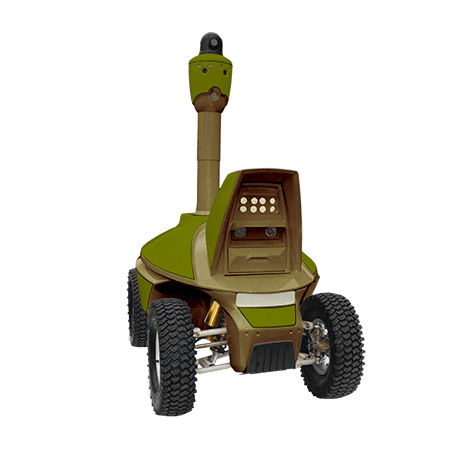 Starting with SMP Robotics’ S5 Security Robots, sites of interest can be monitored and protected day and night. 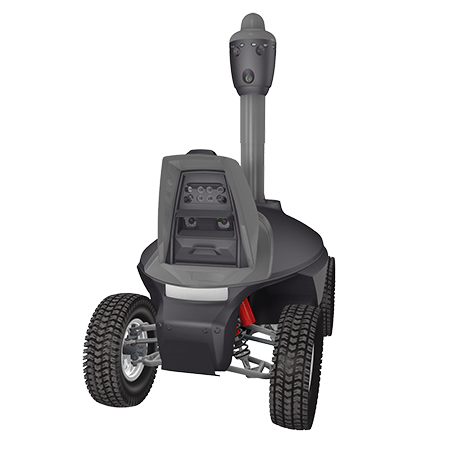 Security Robot S5 automatically moves along the patrolling route, takes video with its own surveillance system, and transmits it from any place of the site. Modifying the route and setting up new surveillance positions from the fixed video surveillance center can be done automatically by S5 Security Patrol Robot. All that the operator needs to do is to inspect the video picture obtained from the robot’s cameras. 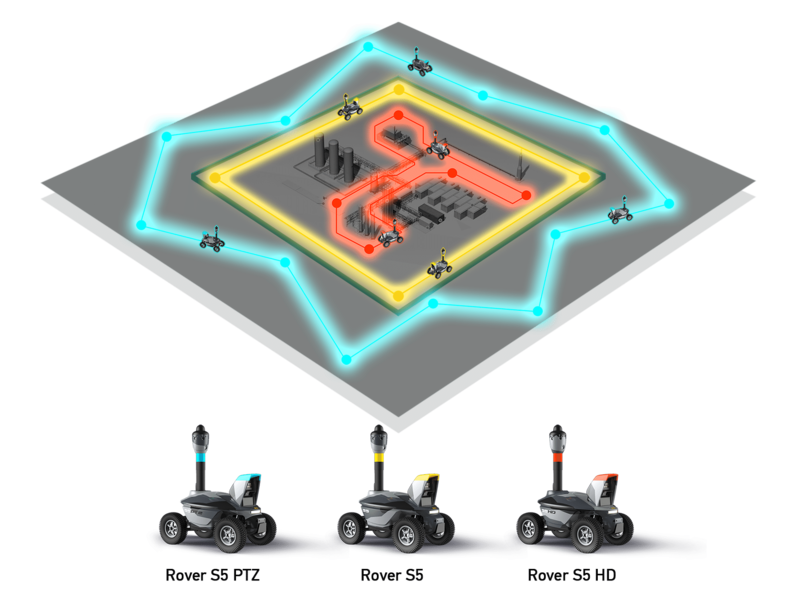 Under such conditions, one operator can accurately control performance of several security robots patrolling the site along different routes. 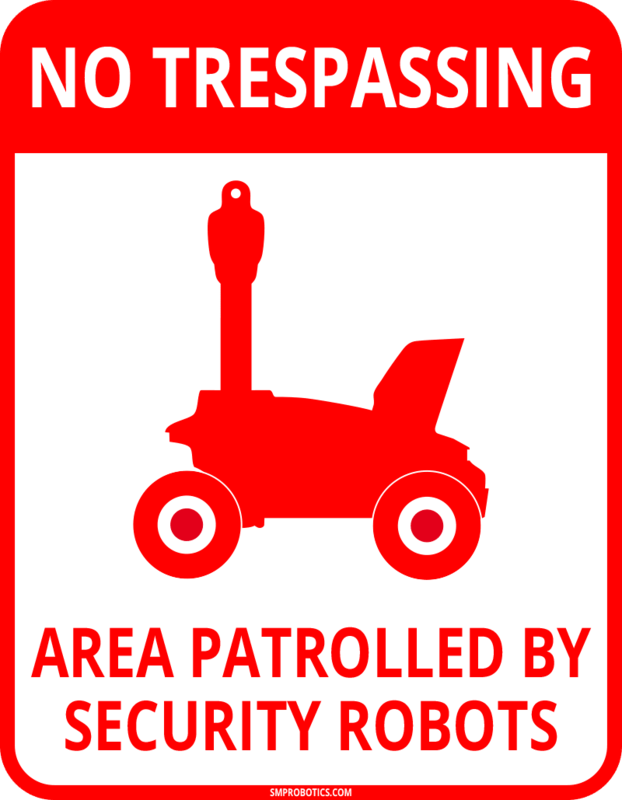 The operator will watch a map of the protected site, facility, or area, indicating each robots’ location, along with video from the robots’ cameras. 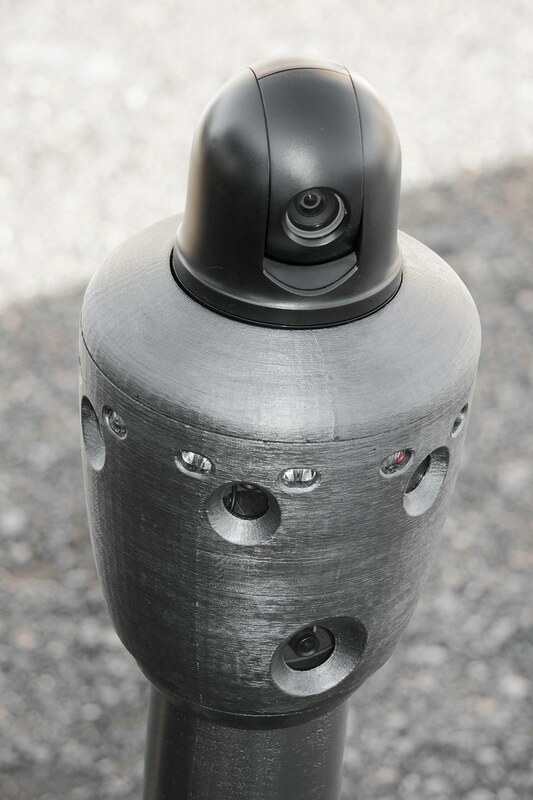 S5 robot transmits highly informative pictures of surrounding environments, taken by six onboard cameras that provide all-round video monitoring, while one turning camera automatically focuses on sources of movement. This video surveillance system configuration results in a fully detailed picture of a suspicious moving object. The video surveillance system not only tracks moving objects and people, but also records captured video. On facility grounds where a robot stays in stationary most of the time, one operator can control up to 8 robots simultaneously with an observation time of different robot vantage points comprising only 20–30% of total shift time. On protected territories that stretch away in every direction where robots may need longer time to change monitoring positions, the quantity of robots controlled by one operator may be proportionally increased. 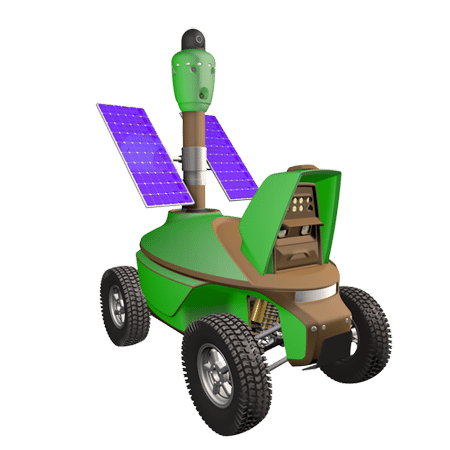 Typically, 8 robots allow reliable control of up to 50 acres of protected area. Using mobile remote control video surveillance robots, or ‘security robots’ for short, alongside with traditional technical security systems, significantly improves safety of the protected facility. A robot needs no time to sleep or to take respite time off. It never acts lazy or falls ill. Its operation is only interfered with by regular battery recharging. Its cost allows a sizable return the investment made while purchasing the robot that is realized within the first year of its operation. Specific character of physical guard needs of large-scale sites and facilities requires prompt response to shifts in supply and demand. Using the traditional security management approach of patrolling the area by efforts of private security firm officers leads to additional costs to include staff training time and efforts. On the other hand, maintaining personnel reserve while waiting for new sites is also extremely expensive. Security robots can help reduce expenses and allow security managers to respond with flexibility to the current security services market situation. For this purpose, a special security robots rental program has been developed. Its purpose is to promptly provide services under conditions of unstable and unpredictable situations within the market. Security firms may lease robots for a period of time ranging from three months or more. Furthermore, the manufacture and supply company undertakes all costs arising from robot operation and replacement in case of robotic malfunction. If a one-time purchase of robots seems unpractical yet the prospects of their long-term operation are clear at the same time, robots can be purchased on leasing terms. In this case, leasing will be provided by a respected, world-class leasing agency. A minimal credit rate is included into the value of lease payments. Since a robot cannot respond to alarm situations, security service officers should be physically present on site. At the same time, a security robot is an effective tool to perform a wide variety of tasks, including organization of security on large-scale sites with fewer employees while providing high-levels of security service reliability. 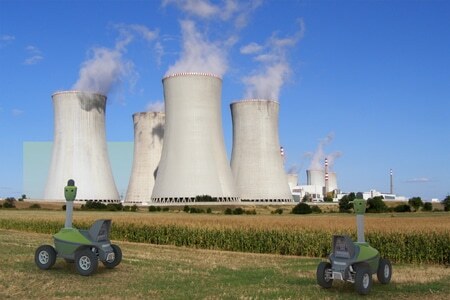 Robots can be implemented on a protected site in a quite simple way. Guided by the operator, a robot should drive along all routes suitable for patrolling one time. Meanwhile, ideal video surveillance positions should be set. 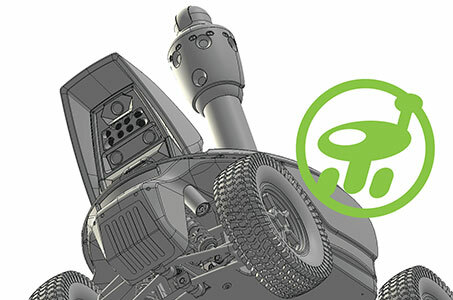 While in service, a robot will automatically move along the patrol route, recognizing obstacles, such as a person or a parked car, and driving around them. When the batteries are run down, the robot will return to recharge them. Autopilot of the robot was developed based on technologies used in computer vision systems. These technologies allow the robot to move along narrow pathways that are only a little bit wider than the robot’s wheel track, with high accuracy. They also allow locating its own position under conditions of unstable reception of a satellite navigation system signal. Once the map of robot’s patrolling routes is created, it can be uploaded to other robots that are prepared to operate onsite for the first time. This feature allows prompt reinforcing for a group of patrolling robots as circumstances may require. Automatic driving technology is focused on multiple times of moving through a protected area. The more times a robot drives through it, the better the driving algorithm becomes. This allows increasing speed and reliability of movement. 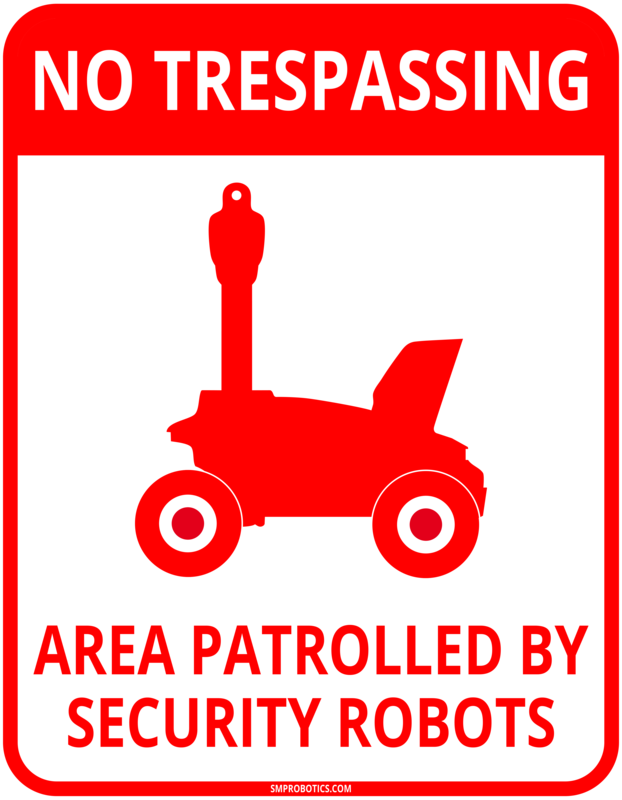 In case of group patrolling, security robots are interconnected into a unified system. If one of the robots is unable to complete its task, the task will be reassigned to one of properly functioning security robots. If operator changed the task for one of the robots, other robots will continue patrolling the territory and will be automatically redistributed so that the entire territory remains under their supervision. 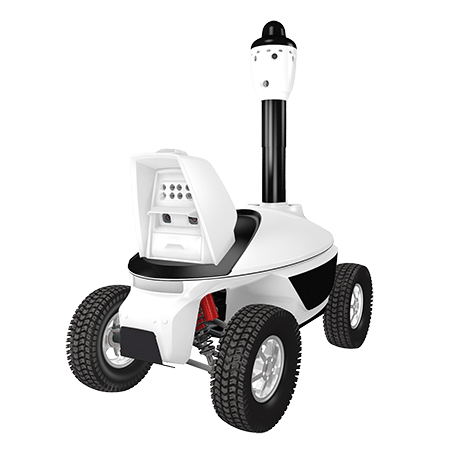 Security Guard Robot S5 can find its use in a wide range of applications: patrolling city infrastructure, holiday hotels areas, sporting facilities, energy infrastructure facilities, and even areas around private homes.. Especially for these customers, SMP Robotics has developed a user friendly software product that can be installed onto tablet PCs, operating under control of the Android open-source operating system.